Last updated on January 15 2019. Hourly price is double the monthly price. Block $0.090 Called "Additional Disks" at OVH. Snapshots $0.011 Goes to object storage. Object $0.011 Based on OpenStack Swift technology. 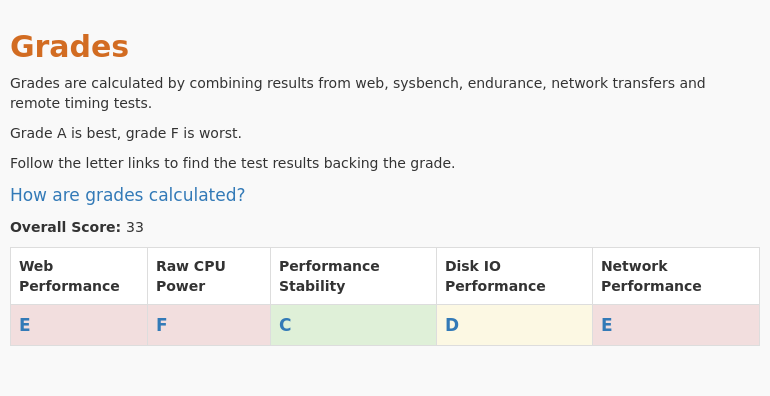 The Screener shows all OVH Public Cloud plans side by side with their grades in 5 categories. 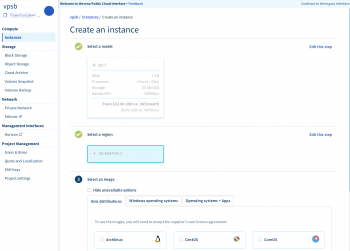 We conducted 5 different types of tests for OVH Public Cloud - EG-7. Review the results and compare this plan to its competitors. This plan was tested 1 times at vpsbenchmarks.com. The table below shows all trials run on the EG-7 plan and the web response times for every one of those. 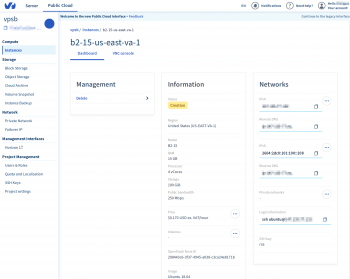 We conducted 5 different types of tests for OVH Public Cloud - S1-8. Review the results and compare this plan to its competitors. This plan was tested 1 times at vpsbenchmarks.com. The table below shows all trials run on the S1-8 plan and the web response times for every one of those. 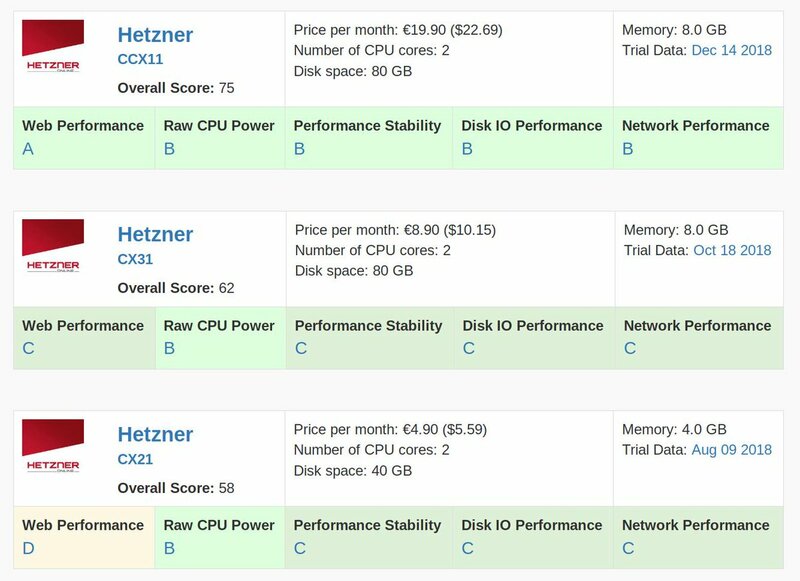 We conducted 5 different types of tests for OVH Public Cloud - C2-7. Review the results and compare this plan to its competitors. This plan was tested 1 times at vpsbenchmarks.com. The table below shows all trials run on the C2-7 plan and the web response times for every one of those. Monthly price is $26.40. Hourly price is double. 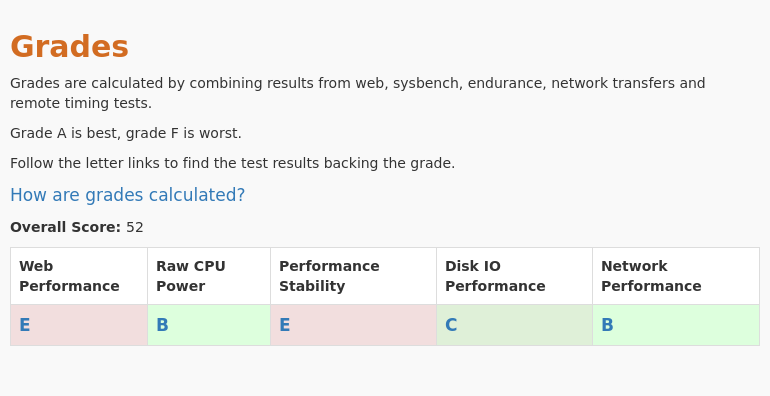 We conducted 5 different types of tests for OVH Public Cloud - B2-7. Review the results and compare this plan to its competitors. This plan was tested 1 times at vpsbenchmarks.com. The table below shows all trials run on the B2-7 plan and the web response times for every one of those.